This legendary variety is one of the world’s hottest peppers coming in at an astonishing, tongue-melting 855,000 to 1,000,000 Scoville units. To put that into perspective, a jalepeno is just 2,500 to 10,000 Scoville units. As you first taste these brilliant red peppers, you get an intense sweet chilli flavour that is rather tasty. The heat springs up after around 30-40 seconds and can linger for up to 30 minutes. 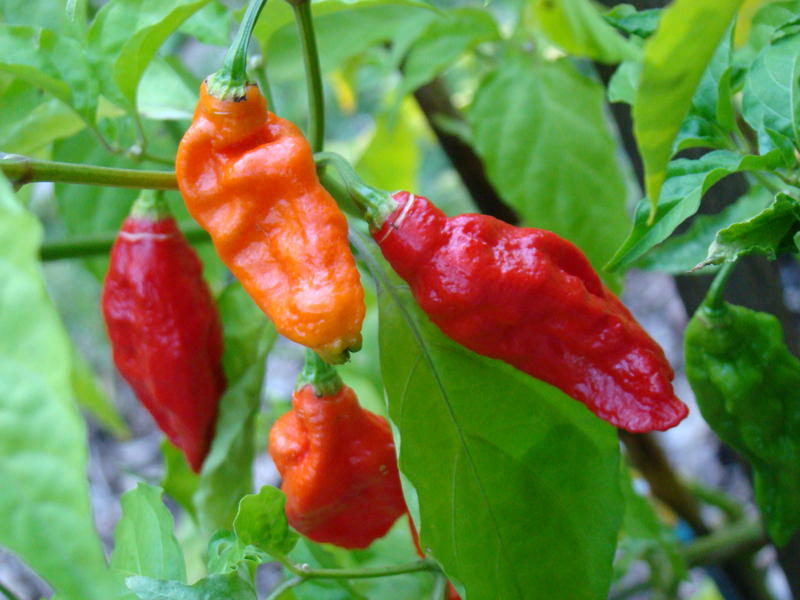 Ghost peppers are a naturally occurring chili hybrid originating from the northeastern part of India. They thrive in heat and humid conditions and will grow to be rather tall plants. Depending on the pollinator population in your area, you may need to pollinate by hand. Ghost peppers become a striking red colour when they are ready to be harvested. Always wear gloves when handling these peppers and avoid contact with the face and eyes. Moderate and even moisture to get the plant established and until fruit sets, then less as fruit matures.